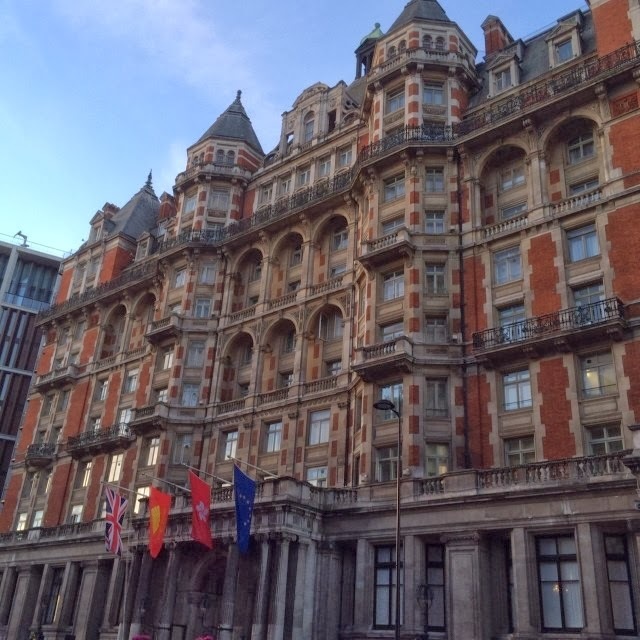 On my recent weeklong visit to London, I chose to stay in three very different hotels while visiting with friends and General Managers at dozens of others. I pride myself on being a luxury hotel matchmaker, thus, what better way to hone my skills than experience a variety of luxury hotel styles & locations. From the ultra-posh Corinthia Hotel in the Whitehall neighborhood with a private terrace overlooking the venue where the 2013 Remembrance Day tributes took place to the happening Edition Hotel (Ian Schrager’s latest project) to the always-classy Mandarin Oriental London (seen below) just steps from Hyde Park and Harvey Nichols, my London accommodations did not disappoint. I’d last visited the Corinthia a few years ago--just weeks before it opened, and the final product blew me away. 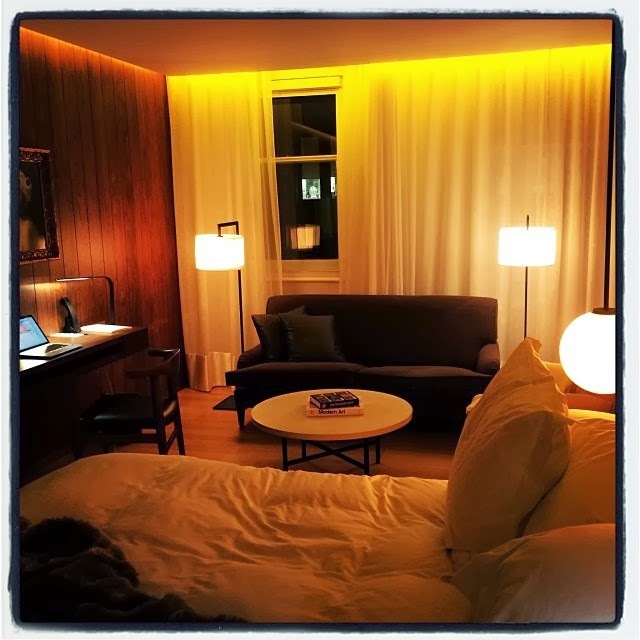 The bi-level 7th floor penthouse suites (like the one I stayed in, shown below) are amongst the coolest in the city, with themes ranging from music (Katy Perry’s fave) to literature, politics and art. I was quite impressed by the attentive butlers who meticulously unpacked/packed our bags, delivered a forgotten prescription and printed out a late-night presentation. The four-floor spa borders on ridiculously gorgeous, and the in-house Daniel Galvin salon where I could get an 845 am blow-out before a busy day was a bonus surprise. Cocktails at the chic Bassoon Bar are a must to start or end the day, and a meal (oysters and Dover sole top my recommendations) at Massimo’s is always a good idea. GM Matthew Dixon has done an incredible job of staffing up the entire hotel with a seasoned team who truly go above and beyond. The hotel, in one word? Flawless. 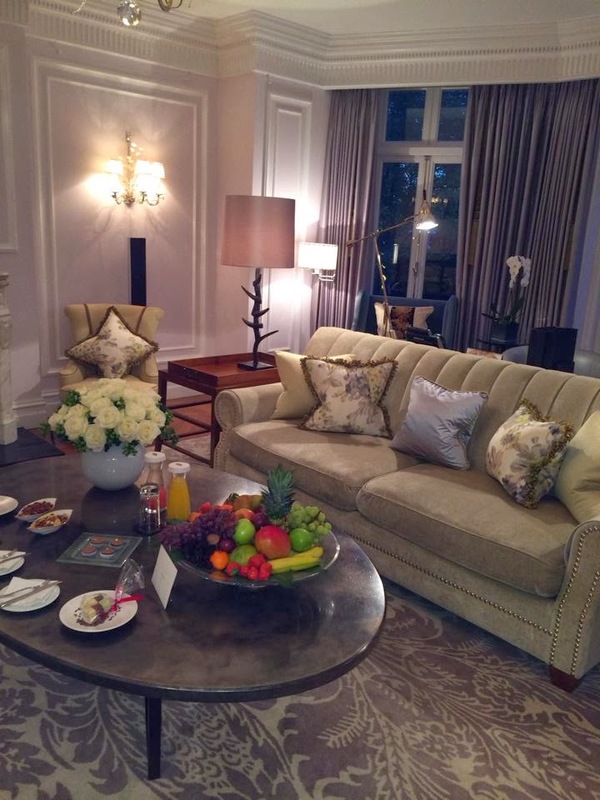 Equally impressive was the new Royal Suite (complete with butler service fit for royalty) at the Mandarin Oriental London. A longtime favorite of mine, this hotel has noticeably stepped up the level of luxury from the outstanding on-site restaurants (Bar Boulud and Dinner by Heston Blumenthal) to the stunning new indoor pool and fitness center opening early 2014. My favorite accommodation here--the Royal Suite--is massive, with a beautiful terrace fronting Hyde Park and a butler at your beck and call. Heated floors, a steam shower, a full kitchen, dining room, huge living room (pictured below) ideal for entertaining or relaxing en suite, and a beautiful master bedroom with additional Park views are key reasons to book my favorite Mandarin London suite. Leaving the hotel for meals is hardly necessary with dining options inclusive of both Boulud and one of Britain’s own Blumenthal (his take on ancient British cuisine with a modern twist is amazing, and the well-trained staff make it an experience you’ll want to repeat). Lest you do want to leave, just cross the street and Harvey Nick’s food hall awaits (everything from fresh juices to gourmet cheese to sushi can be found here). And by all means, be sure to try the K’bridge martini at the Mandarin Bar! 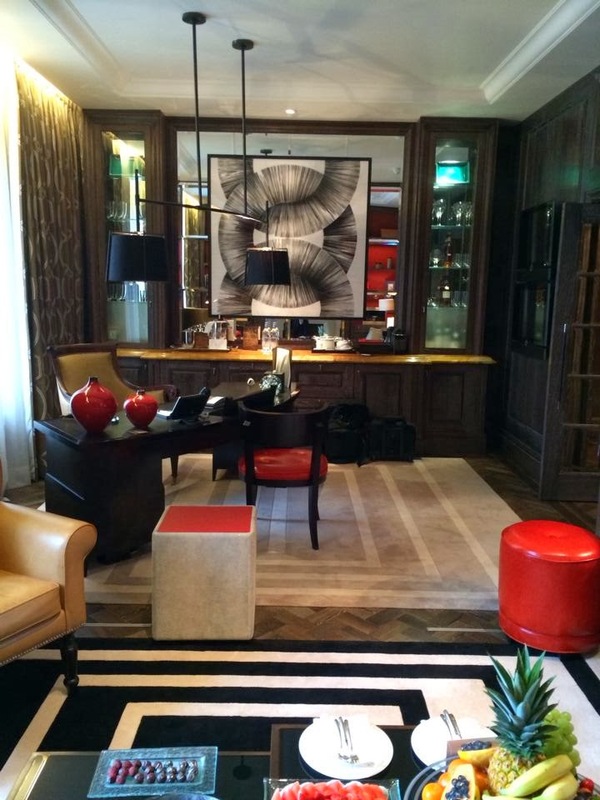 I wasn’t quite sure what to expect from the Edition London, Schrager’s collaboration with Ritz-Carlton which opened a few months ago in the former Berner’s Hotel in Fitzrovia (steps from Oxford Street). Suffice it to say, this fun, chic boutique hotel exceeded my expectations on every level. It is obvious that the staff has been well-trained by Ritz-Carlton as everyone from the bellmen to the front desk agents to the restaurant teams to the management go out of their way to deliver. Dinner and cocktails (try the Dill or No Dill) at Berner’s Tavern is an absolute must (hotel guests are given priority for tables at the hot spot I’m told by an Edition insider). The rooms (like mine, shown below) are stylish with warm touches, and surprisingly spacious for a boutique hotel. I’ll look forward to seeing the gym and spa on a future visit as I’m told both are being given a refresh to better suit guests’ needs. GM David Taylor—formerly of the Huxton in Shoreditch--is a terrific host here at the city’s hottest new boutique hotel. What impressed me most about each of the three hotels where I stayed was the level of customization and attention to my preferences. Healthy delicious and gluten free snacks, dark chocolate, Rose Champagne, still water, a yoga mat (thank you Mandarin!) 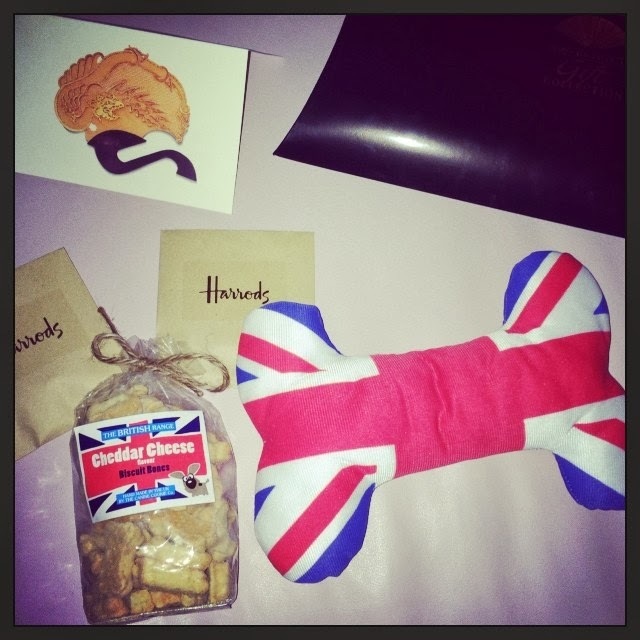 and even treats and toys for my beloved pups were delivered as in-room amenities. Talk about knowing your guest! For more details or to inquire about rates/VIP amenities at each of these three London hotels, contact me at stacy@elitetravelinternational.com. 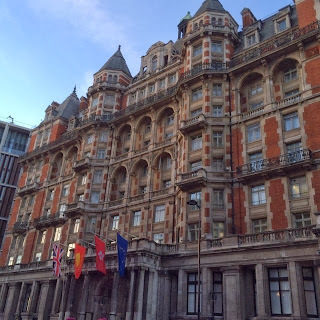 And stay tuned for future posts on my other favorite luxury hotels in London serving up the city’s best gluten-free teas, cocktails, meals, martinis and more! Avni Kensington Hotel provides our guests with space and comfort of a 3 star facility. we are providing facility just like best spa, gluten-free teas, cocktails, meals, martinis and more. Hello my friend! I want to say that this article is awesome, nice written and include almost all vital info. (essaymarket co uk) I would like to see more posts like this. This is something there. Something extraordinary and very interesting! online-essay-writer.org Thank you for presenting stuff =)!! In the event you take pleasure in the reading through as well as the preparing food, this really is just about all very good primarily. In case certainly not, get a diet plan meal Healthy Food Delivery London shipping services in the area and just take pleasure in the benefits. You will have a personal skeleton, a new internet page blew by myself brain, just about the most seems to be until this do not own some thing unique. However , there was clearly a person comprise - ended up being it is actually article writer, undoubtedly most people do not await a can cause the woman non-standard entrance compared with more is currently writing. But still, brief nearly anything to make certain, I think he has persuaded a new experience. three very different hotels, which gives you the experience and the different service. We can explore and you have to share it. if I would come to London Luxury Hotels. Thank you for sharing great article about London. To flee war, to protect the lives of themselves and their families.Thanks! Mens Rolex Watches Authentic Mens & Ladies Rolex Datejust, President Watches for Sale at JavyEstrella.com. Thanks for your good work this week. Di nuovo, ringrazio il Parlamento perché condivide la prospettiva di una Fofy 2 Friv 2021 Jogos Fofy nuova politica per i consumatori basata sul mercato Juegos Fofy Juegos Friv 2020 Juegos Twizl Friv Per anni vi siete affidati ad Ethernet per la condivisione di informazioni Twizl Twizl Friv ous Grazie per condividere con noi YooB i tuoi piani e mostrare paso dopo passo il progetto..
Herr Cashman, ich danke Ihnen für diese Information. Juegos Friv Kizi Juegos Friv Wir danken aber auch Ihnen Juegos Friv YooB liebe Leserinnen und Leser, fur Ihr Interesse und Ihre Mitwirkung Juegos Friv YooB Juegos Friv Juegos Friv die Informationsgesellschaft in der Schweiz voranzubringen. There are primary esportsify.com heaters inside the check this site cookbox, plus an extra BTU Best Outdoor Grills 2017 (Updated) side burner, and also while that does Best Outdoor Grills not give as much cooking power Outdoor Grills 2017 as the three-burner systems. Thank you for this information Kizi 2018 Friv4school 2020 but please understand that as a representative of the Council Friv 2018 Kizi 2018 Yepi 2018 I am not at liberty to comment Friv4school 2018 Friv 2018 Friv 2018 Friv 2018 on the data or the situation for an individual Member State. centerville iowa lodging Thanks a lot for the blog.Really thank you! Want more.